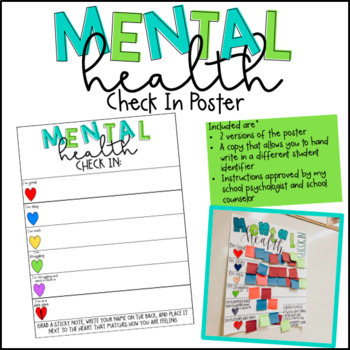 Mental health is a topic that should be a focus of every classroom. 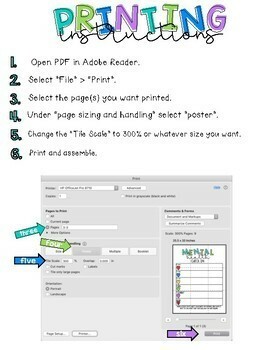 I have taken my classroom anchor chart and created a digital version that allows you to print it out as a poster to be used in your own classroom! Along with this poster are detailed instructions approved by my school psychologist and a school counselor. Please be sure to carefully read these as this is a delicate subject. 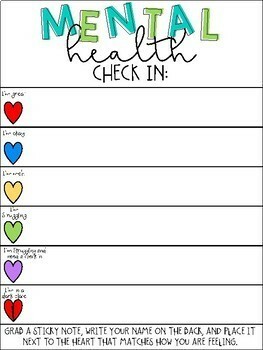 Be sure to check out some of my other mental health/classroom community related products!